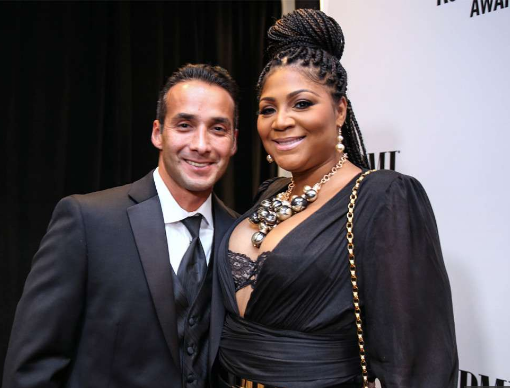 Trina Braxton's ex- husband Gabe Solis passed away earlier this week. After privately fighting cancer, the 43-year- old died in his home state of Texas, making his death sudden for those who did not know about his struggle. In a post honoring the deceased, Trina commented on the issue. Based on her words, the news of his passage came to the public before reaching certain members of his family. Trina apologized to his loved ones for the " leak." See Her full statement is available below. "On December 20, 2018, a chapter permanently closed for my sons and I. For over 16 years, Gabe Solis was an essential part of our lives. Like all families, there are good and bad moments that are endured, but those moments, good or bad still made us who we are in the present. Unfortunately, someone leaked the story before we could make everyone aware of his passing, and I apologize to those friends and family members for finding out through social outlets. I also apologize directly to the Solis Family. I do humbly ask for your prayers for our families, but my greatest request is that when you are posting comments, remember Gabe’s passing is a loss for our family. He was a father to my boys, a son, brother, and friend to many and I would appreciate privacy and respect as we grieve his unexpected departure. @gabe_solis1234 I miss you, my dear friend."